Eom T-H, Oh E-Y, Kim Y-H, Lee H-S, Yang PS, Kim D-U, Kim J-T, Lee B-C. 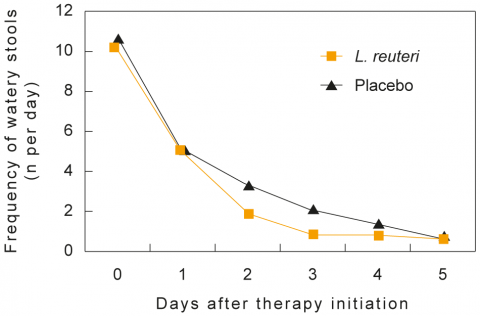 The therapeutic effect of Lactobacillus reuteri in acute diarrhea in infants and toddlers. Korean J Ped 2005;48:986-989.